The MakeShift Ensemble present ‘Sofa’ - An exploration of memory, place and the worlds we create around us. Performed by two actors and a puppet. Starting from the home, the sofa is where we make new worlds as children and seek solace as adults—using this central object the piece examines how experience changes our reflections on memories.The sofa becomes the stage on which we view the growth of our characters and their memories of a loved one living with dementia, and the changing perspectives they bring to those memories. The MakeShift Ensemble with their distinct and compelling style, aim to discover the effects of memory and 'unmemory' on family relationships . Inspired by real life events and experiences the piece will tell the stories with humour and pathos, that sometimes go untold. With an original score by Laurence Aldridge , the show includes puppetry, object manipulation and the most versatile sofa in the world! “Thank you for talking about dementia in such a thoughtful way. "discover the differences in the shared memories we hold, the power of objects (and soft furnishings) to reawaken those memories and the rediscovery of the power of play and playfullness...."
Join The Makeshift Ensemble and their travelling teapot of tales on a magical celebration of discovery, courage and diversity. 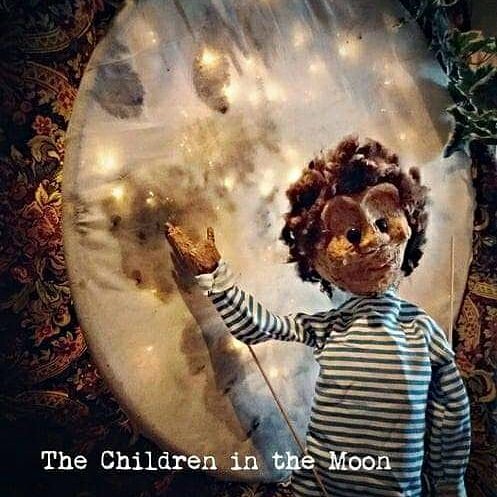 The Children in the Moon is a wonderfully visual and original takeon centuries old children’s verse, packed with puppetry and livemusic this is an ideal show for all the family. characters can explore, play and bring their tales to life. unravel.The MakeShift Ensemble, with their distinct and compelling style, aim to both discover and celebrate the wonderful things that make us different and the ties that bind the human family together. Join the wayward Reynard. H. Fox and his reluctant sidekick Rabbit as they meander their inelegant way around the world of the Owl and the Pussycat in their beautiful pea-green……boat? Dodge the jellyfish in the deep blue sea, climb the giant bong-tree to meet the spirit who dwells within and journey with them to find the allusive and mythical shilling. Aided by a rockabilly hog (Elvis Pigsley), a Compass Fish and a somewhat melodramatic turkey – can Fox and Rabbit get the Owl and Pussycat to the hill on time to finally tie the knot? The MakeShift Ensemble bring a sense of adventure and humour to this wonderful retelling of Edward Lear’s classic nonsense poem, brought to life with puppetry and live music . "...an intimate and spellbinding experience for all ages"
A war-torn soldier and an obstinate princess – aided by three unearthly dogs, a strange and wizened woman with a magic tinderbox – discover the unbreakable bonds of true love. This new play gives a classic Hans Christian Andersen tale an illuminating Jurassic Coast twist. ‘tinderbox’ is an audio-visual treat to thrill all the family. Powerful physical storytelling; puppetry; shadow play and animated imagery – accompanied by live, original music and song. Imagine you had to choose just one memory to take into eternity, and that you would re-live that treasured memory afresh, experiencing it as for the first time over and over and over. That is what four characters are urgedto do by a mysterious other – to a count of ‘100’! This singular decision turns out to be far more difficult than any can imagine. It challenges the way each have lived, loved, observed, and even valued life itself; there are implications none would have guessed. What memory would you choose? An imaginative, energetic approach to story-telling and a huge heart that will leave the audience buzzing with images, thoughts and questions. Written by Diene Petterle, Neil Monaghan and Christopher Heimann ‘100’ is an Edinburgh First winning production.